Born at Zoo Madgeburg in Germany on May 13th 2010, Bhanu moved to Assiniboine Park Zoo in Canada with his brother Kamal around the age of two, before calling ZSL London Zoo home in March 2016. Our six year old male's name is Hindi for 'the sun' and he's a very talkative lion, so listen out for his deep rumbling chatter. Seven year old Rubi is the oldest of our three sisters and also the shyest. You'll most likely find her doing her own thing, lying in the sun or watching her sisters play. Born at ZSL London Zoo on June 8th 2009, Rubi's favourite foods include rabbit and joints of horse. One of the younger sisters, four year old Heidi was born at ZSL London Zoo on August 28th 2011. She's the most motherly of our three sisters and can often be seen grooming and licking the other females. She's also a bit of a chatterbox, so if you hear one of the girls roaring, it's likely to be her. The most affectionate of our girls, Indi is mostly likely to be seen play fighting with her sister Heidi. The two look very similar and the way to tell them apart is by the tell-tale black freckles on Indi's left cheek. 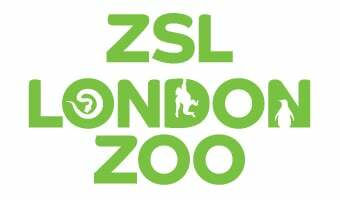 Also born at ZSL London Zoo on August 28th 2011, her favourite food is duck. Come and see our beautiful Asiatic lions up close!